If you are thinking of becoming a coach, you probably want to know how coaching is measuring up as a career in this time of economic upheaval. The good news is professional coaching is gaining respect as a profession, perhaps in part because of the economic uncertainty, forced career changes and drastic efforts of businesses to make their operations efficient and productive in the midst of financial challenges. To illustrate that growth, consider these statistics: in the year 2012 there were approximately 47,500 professional coaches at work that bring in a combined $2 billion in revenue. As an industry, coaching is thriving. As business owners, coaches set their own rates and those rates vary widely. Coaches earn anywhere from $25 per hour to $300+ per hour. Standard hourly rates for coaches coming out of a certification program are $100-$150 per hour, but those can be higher depending on the coach’s background, other expertise and location. The biggest difference in coaching rates, though, is determined by what type of coaching you are doing. 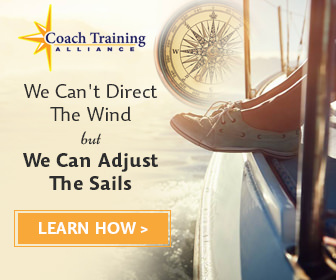 The coaching industry is generally divided into executive coaching, business coaching and life coaching. The International Coach Federation routinely studies the coaching market, with landmark studies taking place in 2007 and most recently in 2012. This study found that the average income for full time coaches was over $83,000 and for part-time about $26,000 a year. This was consistent with more recent findings in the 2011 Sherpa Study that average annual incomes for coaches range from $55K to $116K. Sherpa provides training and research for the coaches industry and is known for its research and education based programs and reports. The 2012 ICF study saw an expansion of coaches globally and a 2011 estimated industry income of $1.9 million (US Dollars). You can read a summary of the 2012 study here. 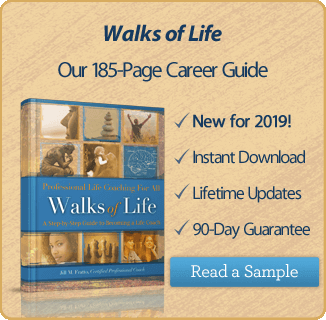 According to Julia Steward with the School of Coaching Mastery, newly graduated life and business coaches are typically charging $100 – 200 per hour, while more established coaches may be charging up to $600 per hour. The salary you make as a coach is determined by factors such as the type of coaching you do, your location and other factors such as how you position yourself against the competition. If you are like most people, you want to maximize your profit as a coach. Let’s look at several ways top coaches in the industry are making a six figure income. Corporate Coaching, also known as executive coaching, has continued to serve as an effective tool for organizations and growth is not expected to slow any time soon. Corporate coaches offer their services to large business entities and often specialize in focus areas such as leadership, team building or sales among many others. Services offered to clients may include face to face coaching for top executives down to front line employees, team coaching, training programs, assessments other customized coaching programs. Businesses are looking for specific results and often hire coaches to solve a specific problem. Coaching may be focused on outcomes such as talent retention, effective teams, increased sales or minimized downtime during a corporate restructure. Because of these high-stakes results, executive coaches, on average, make more than other coaches. According to the 2011 Sixth Annual Sherpa study, executive coaches earn approximately $325 hour compared with $235 per hour for small business coaches and $160 per hour for life coaches. The fact is, large companies can afford to pay for more coaching and they do. You can certainly make as much as an executive coach as a specialized life coach, but generally speaking, executive coaching pays more than life coaching or small business coaching. Corporations also offer more earning potential per client than an individual or small business client. Corporations can typically buy more services at a given time. As a corporate coach, you can sell coaching services, training, customized programming and assessments all to the same client—at the same time. The work is also spread across many people or divisions. These factors all contribute to more income for executive coaches. It seems like common sense, but one of the biggest mistakes new coaches make is trying to be everything to everyone. The idea of passing up a potential client is unthinkable, so they sell their services to anyone who will listen. Coaching is explosive right now, which also means more new coaches are entering the playing field. The more you can specialize and raise yourself above the competition, the more successful you will be as a coach. Even if you are a business or executive coach, you can narrow your services to a specialty. Without a specialty, you could try to provide general coaching services to any corporations that will work for you. With a specialty, you can focus on a specific outcome like developing leaders, increasing sales or retaining top talent. Establishing yourself as an expert in a given area will put you above your competitors. You may also choose to focus on a specific industry. Perhaps you have experience in the oil and gas industry that gives you a better understanding of their needs than your competitors. Establishing yourself as the expert will result in new business, repeat business and referrals as people want to work with someone who understands their needs and produces results. When you choose a specialty and become the authority in your area, you can streamline your products, your marketing and your services. You have a clear focus and know exactly what results you want to produce from your business. This focus results in more clients as you can get your message out to your targeted audience consistently. Having a specialty also leads to more referrals as you become known as an expert. If you are capitalizing on writing and speaking efforts, you probably have a specialty. However, since not everyone feels they can be a writer, this strategy has its own merit. Writing and speaking are great ways to enhance your credibility, build an audience and make more money as a coach. Many people take the approach of writing a book, but you may also be able to accomplish the same goals through a successful blog. The idea is to position your self as the thought leader in your specialty area. By doing this, you become the “go to” person in your field. As a result, when a person or organization has the problem on which you focus, you are the person they seek for help. You may also make money on the sale of the book or be paid for speaking engagements, so the additional business that you get makes this a win from three angles. If you don’t know where to start when it comes to writing, don’t feel overwhelmed. You can hire a writer to help you organize your thoughts or even ghost write for you. The idea is to get your unique ideas out in the marketplace and get in front of your target audience consistently. From this, you build a connection with your audience. Further, you are providing them with value and resources even before they hire you. This also creates a sense of trust within your audience. Clients need to trust you as their coach. Once you have that connection, they won’t want to hire anyone else but you to help them succeed. Finally, most coaches do more than just coach. Coaches making six figures offer many products and services in addition to one on one coaching. Think about what else you can offer your client. Depending on your specialty, additional services may include training, consulting, assessments, surveys, online classes and group coaching. You may also have products to sell such as a book, motivational CDs or other products you have created to supplement your business. You may also resell products that align with your specialty area. For example, think about a health coach that provides personal training and supplements along with coaching. What have your done or created that will allow you to offer more to your clients? Turn your talents and output into profit streams for your coaching business. There is truth to the saying “Don’t put all your eggs in one basket.” The more you have to offer clients, the more your potential revenue. Further, by creating products that aren’t based solely on your time, such as a book or other information product, you can be making money while you sleep- literally. Coaching is a business that can be profitable and enjoyable. Like any business, the more you put into it and the more creative you become, the more money you begin to make. Previous post: What Does a Life Coach Do?